This is a presentation of the beliefs of ahl-al-Sunnah wa al-Jama'ah, according to the school of the jurists of this religion, Abu Hanifah an-Nu'man ibn Thabit al-Kufi, Abu Yusuf Ya'qub ibn Ibrahim al-Ansari and Abu 'Abdullah Muhammad ibn al-Hasan al-Shaybani, may Allah be pleased with them all, and what they believe regarding the funda- mentals of the religion and their faith in the Lord of all the Worlds. 9. He is different frown any created being. 13. He has always existed together with His attributes since before creation. Bringing creation into existence did not add anything to His attributes that was not already there. As He was, together with His attributes, in pre-eternity, so He will remain t hroughout endless time. 14. It was not only after the act of creation that He could be described as 'the Creator' nor was it only by the act of origination that He could he described as 'the Originator'. 16. In the same way that He is the 'Bringer to life of the dead', after He has brought them lo life a first time, and deserves this name before bringing them to life, so too He deserves the name of 'Creator' before He has created them. 23. Everything happens according to His degree and will, and His will is accomplished. The only will that people have is what Hc wills for them. What He wills for them occurs and what He does not will, does not occur. 33. The Qur'an is the word of Allah. It came from Him as speech without it being possible to say how. He sent it down on His Messenger as revelation. The believers accept it, as absolute truth. They are certain that it is, in truth, the word of Allah. It is not created, as is the speech of human beings, and anyone who hears it and claims that it is human speech has become an unbeliever. Allah warns him and censures him and threatens him with Fire when He says, Exalted is He: 'I will burn him in the Fire.' (al-Muddaththir 74: 26) When Allah threatens with the Fire those who say 'This is just human speech' (al-Muddaththir 74: 25) we know for certain that it is the speech of the Creator of mankind and that it is totally unlike the speech of mankind. 34. Anyone who describes Allah as being in any way the same as a human being has become an unbeliever. All those who grasp this will take heed and refrain from saying things such as the unbelievers say, and they will know that He, in His attributes, is no t like human beings. 35. 'The Seeing of Allah by the People of the Garden' is true, without their vision being all-encompassing and without the manner of their vision being known. As the Book of our Lord has expressed it: 'Faces on that Day radiant, looking at their Lord'. (al-Qiyamah 75: 22-3) The explanation of this is as Allah knows and wills. Everything that has come down to us about this from the Messenger, may Allah bless him and grant him peace, in authentic traditions, is as he said and means what he intended. We do not delve into that, trying to interpret it according to our own opinions or letting our imaginations have free rein. No one is safe in his religion unless he surrenders himself completely to Allah, the Exalted and Glorified and to His Messenger, may Allah bless him and grant him peace, and leaves the knowledge of things that are ambiguous to the one who knows them. 36. A man's Islam is not secure unless it is based on submission and surrender. Anyone who desires to know things which it is beyond his capacity to know, and whose intellect is not content with surrender, will find that his desire veils him from a pure understanding of Allah's true unity, clear knowledge and correct belief. and that he veers between disbelief and belief, confirmation and denial and acceptance and rejection. He will he subject to whisperings and find himself confused and full of doubt, being neither an accepting believer nor a denying rejector. 37. Belief of a man in the 'seeing of Allah by the people of the Garden is not correct if he imagines what it is like, or interprets it according to his own understanding since the interpretation of this seeing' or indeed, the meaning of any of the subtle phenomena which are in the realm of Lordship, is by avoiding its interpretation and strictly adhering to the submission. 'This is the din of Muslims. Anyone who does not guard himself against negating the attributes of Allah, or likening Allah to something else, has gone astray and has failed lo understand Allah's Glory, because our lord, the Glorified and the Exalted, can only possibly be described in terms of Oneness and Absolute Singularity and no creation is in any way like Him. 39. Al-Mi'raj (the Ascent through the heavens) is true. The Prophet, may Allah bless him and grant him peace, was taken by night and ascended in his bodily form, while awake, through the heavens, to whatever heights Allah willed for him. Allah ennobled him in the way that He ennobled him and revealed to him what He revealed to him, 'and his heart was not mistaken about what it saw' (al-Najm 53: 11). Allah blessed him and granted him peace in this world and the next. 42. The covenant 'which Allah made with Adam and his offspring' is true. 43. Allah knew, before the existence of time, the exact number of thosc who would enter the Garden and the exact number of those who would enter the Fire. This number will neither be increaser nor decreased. 45. The exact nature of the decree is Allah's secret in His creation, and no angel near the Throne, nor Prophet sent with a message, has been given knowledge of it. Delving into it and reflecting too much about it only leads to destruction and loss, and results in rebelliousness. So be extremely careful about thinking and reflecting on this matter or letting doubts about it assail you, because Allah has kept knowledge of the decree away from human beings, and forbidden them to enquire about it, saying in His Book, 'He is not asked about what He does but they are asked'. (al-Anbiya' 21: 23) So anyone who asks: 'Why did Allah do that?' has gone against a judgement of the Book, and anyone who goes against a judgement of the Book is an unbeliever. 48. It is necessary for the servant to know that Allah already knows everything that is going to happen in His creation and hits decreed it in a detailed and decisive way. There is nothing that He has created in either the heavens or the earth that can contradict it, or add to it, or erase it, or change it, or decrease it, or increase it in any way. This is a fundamental aspect of belief and a necessary element of all knowledge and recognition of Allah's oneness and Lordship. As Allah says in His Book: 'He created everything and decreed it he a detailed way'. (al-Furqan 25: 2) And He also says: 'Allah's command is always a decided decree'. (al-Ahzab 33: 38) So woe to anyone who argues with Allah concerning the decree and who, with a sick heart, starts delving into this matter. In his delusory attempt to investigate the Unseen, he is seeking a secret that can never be uncovered, and he ends up an evil-doer, telling nothing but lies. 61. A person does not step out of belief except by disavowing what brought him into it. 65. All the believers are 'friends' of Allah and the noblest of them in the sight of Allah are those who are the most obedient and who most closely follow the Qur'an. 68. Those of the Urnmah of Muhammad, may Allah bless him and grant him peace, who have committed grave sins will be in the Fire, but not forever, provided they die and meet Allah as believers affirming His unity even if they have not repented. They are subject to His will and judgement. If He wants, He will forgive them and pardon them out of His generosity, as is mentionied in the Qur'an when He says: 'And He forgives anything less than that (shirk) to whoever He wills' (al-Nisa' 4: 116); and if He wants, He will punish them in the Fire out of His justice and then bring them out of the Fire through His mercy, and for the intercession of those who were obedient to Him, and send them to the Garden. This is because Allah is the Protector of those who recognize Him and will not treat them in the Next World in the same way as He treats those who deny Him and who are bereft of His guidance and have failed to obtain His protection. O Allah, You are the Protector of Islam and its people; make us firm in Islam until the day we meet You. 70. We do not say that any of them will categorically go to either the Garden or the Fire, and we do not accuse any of them of kutr (disbelief), shirk (associating partners with Allah), or nifaq (hypocrisy), as long as they have not openly demonstrated any of those things. We leave their secrets to Allah. 72. We do not recognize rebellion against our Imam or those in charge of our affairs even if they are unjust, nor do we wish evil on them, nor do we withdraw from following them. We hold that obedience to them is part of obedience to Allah, The Glorified, and therefore obligatory as long as they do not order to commit sins. We pray for them right guidance and pardon from their wrongs. 75. When our knowledge about something is unclear, we say: 'Allah knows best'. 80. We believe in the punishment in the grave for those who deserve it, and in the questioning in the grave by Munkar and Nakir about one's Lord, one's religion and one's prophet, as has come down in ahadith from the Messenger of Allah, may Allah bless him and grant him peace, and in reports from the Companions, may Allah be pleased with them all. 81. The grave is either one of the meadows of the Garden or one of the pits of the Fire. 82. We believe in being brought back to life after death and in being re- compensed for our actions on the Day of Judgement, and al-'Ard, having been shown them and al-Hisab, brought to account for them. And Qira'at al-Kitab, reading the book, and the reward or punishments and in al-Sirat (the Bridge) and al-Mizan (the Balance). 87. Allah, the Exalted, has only charged people with what they are able to do and people are only capable to do what Allah has favoured them. This is the explanation of the phrase: 'There is no power and no strength except by Allah.' We add to this that there is no stratagem or way by which anyone can avoid or escape disobedience to Allah except with Allah's help; nor does anyone have the strength to put obedience to Allah into practice and remain firm in it, except if Allah makes it possible for them to do so. 94. 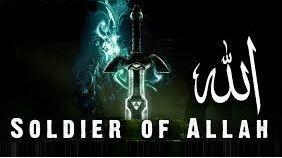 We confirm that, after the death of the Messenger of Allah, may Allah bless him and grant him peace, the caliphate went first to Abu Bakr al-Siddiq, may Allah be pleased with him, thus proving his excellence and superiority over the rest of the Muslims; then to 'Umar ibn alKhattab, may Allah be pleased with him; then to 'Uthman, may Allah be pleased with him; and then to 'Ali ibn Abi Talib, may Allah be pleased with him. These are the Rightly-Guided Caliphs and upright leaders. 95. We bear witness that the ten who were named by the Messenger of Allah, may Allah bless him and grant him peace, and who were promised the Garden by him, will be in the Garden, as the Messenger of Allah, may Allah bless him and grant him peace, whose word is truth, bore witness that they would he. The ten are: Abu Bakr, 'Umar, 'Uthman, 'Ali, Talhah, Zubayr, Sa'd, Sa'id, 'Abdur-Rahman ibn 'Awf and Abu 'Ubaydah ibn al-Jarrah whose title was the trustee of this Ummah, may Allah be pleased with all of them. 100. We believe in the signs of the Hour such as the appearance of the Dajjal and the descent of 'Isa ibn Maryam, peace be upon him, from heaven and we believe in the rising of the sun from where it sets and in the emergence of the Beast from the earth. 104. Islam lies between going to excess and falling short, between Tashbih (likening of Allah's attributes to anything else), and TaÕtil (denying Allah's attributes), between fatalism and refusing decree as proceeding from Allah and between certainty (without being conscious of Allah's reckoning) and despair (of Allah's mercy). Today, there have been 102 visitors (220 hits) on this page!